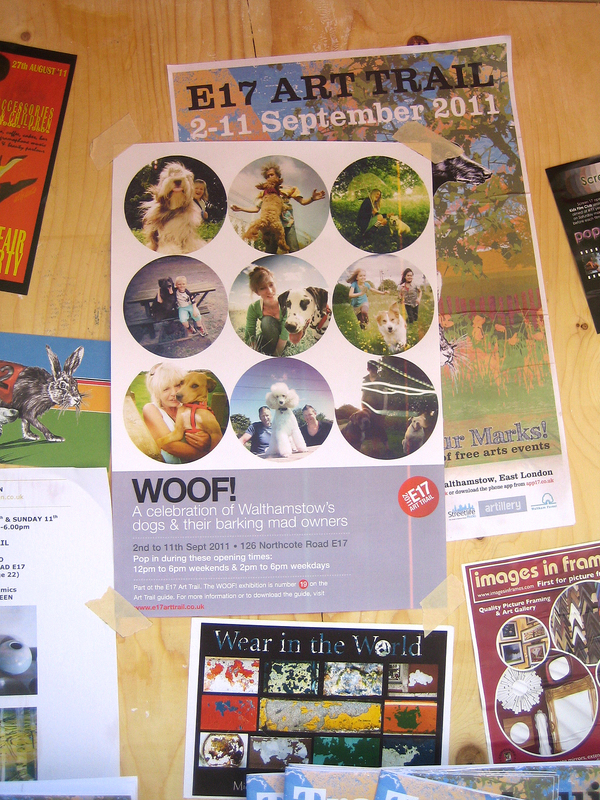 The highlight of this years E17 Art Trail has to be Woof! 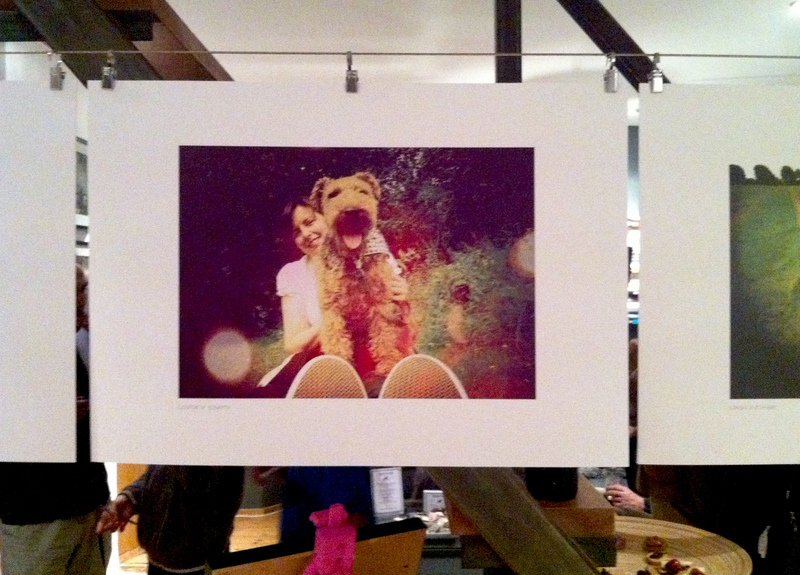 a photographic exhibition celebrating Walthamstow dogs and their owners, by Fabien Ho, who belongs to Toastie the gorgeous Airedale. Fabien has been out and about on Walthamstow Marshes, one of our favourite local places to take Edwyn, taking photographs throughout the year. 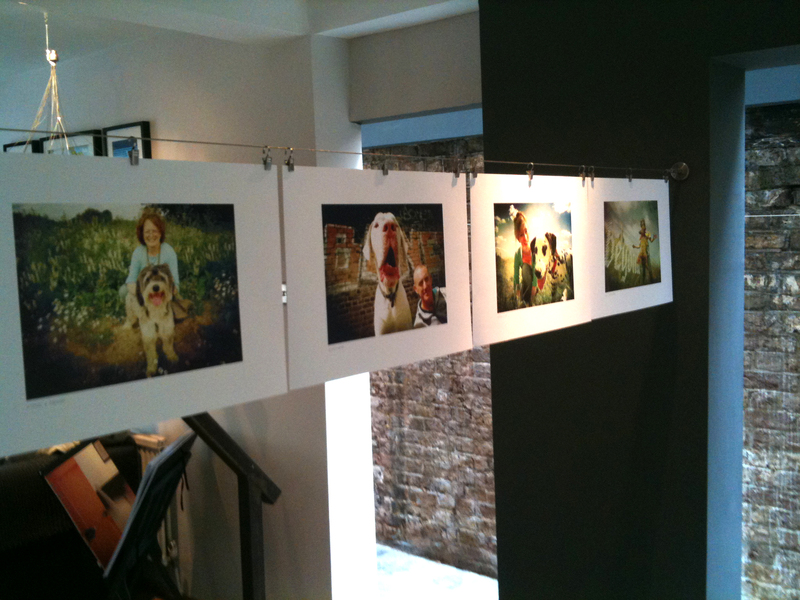 Not only are they wonderful portraits of dog and ‘owner’ but also show the shifting nature of the marshes as the change in seasons is reflected in the flowers and grasses in the background of the photos, all taken in the same vicinity on the marsh, near Copper Mill Lane. I don’t actually live in E17, but I spend an awful lot of time there! So I was very pleased when Fabien asked if I would like to join him and commandeer his coffee table with a few of our EdwynUK bits…. 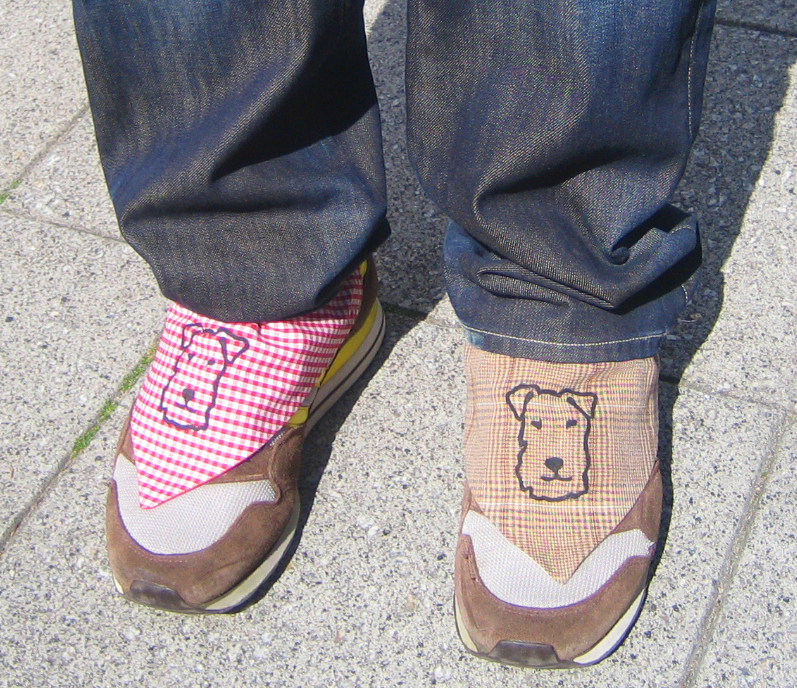 Hand printed keyrings, dog tidy’s and neckerchiefs……..as worn by Fabien on his trainers for the warm up event in Walthamstow town square: Each year the E17 Art Trail gets bigger and better, I enjoy getting around on my bike, discovering pockets of Walthamstow I never knew on the way! To help navigate your way around the organisers have done a fantastic job (as always) of providing great maps both online and paper and there is an iPhone app – really useful for creating your own trail! If you need some help there are organised walking tours and bike tours. Details on the E17ArtTrail website. 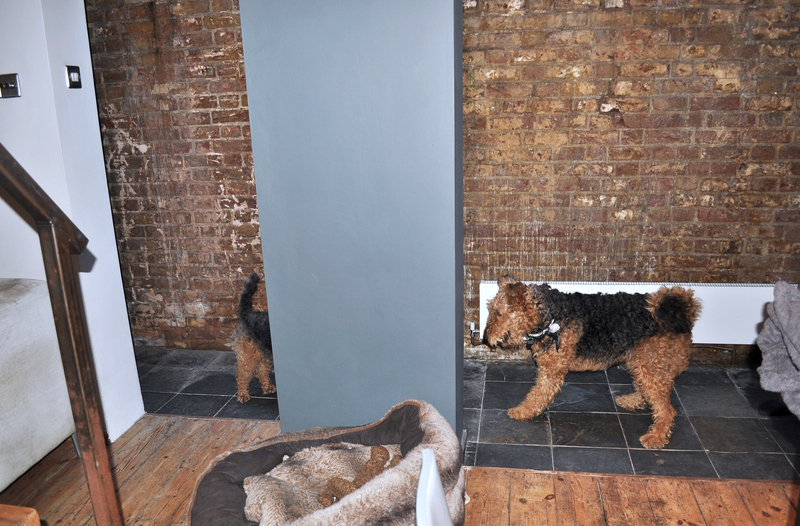 I have to end with a favourite photo of Edwyn and Toastie, well, Edwyn’s tail and Toastie! ps: did you spot me and Edwyn?? 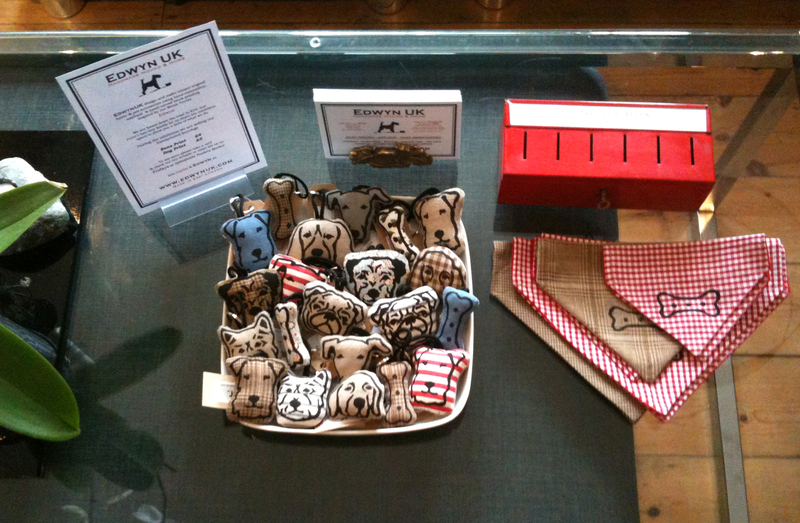 ← A New Member of the Family – Introducing Baxter!